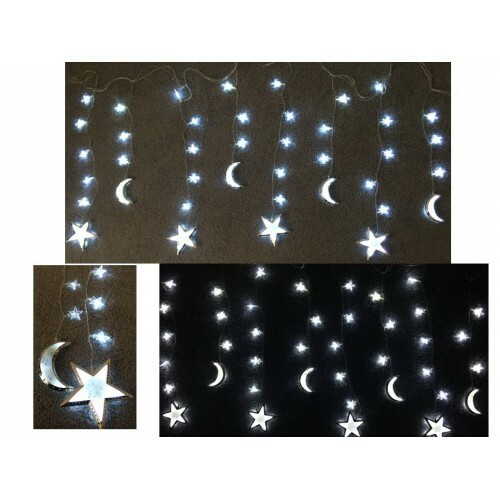 32 small white stars and 8 Silver Moon & Stars makes this the most elaborate lighting we have ever had. A sophisticated and stunning piece of Ramadan and Eid lighting. The Three (3) metres cable allows you to display this piece wherever you wish, and the connector allows you to join with other designs. There are 40 lights in total, that's less than $1 per light.